RealWear's HMT-1 voice-driven, hands-free, head-mounted tablet supports 10 languages. RealWear has shipped its first HMT-1, a voice-driven, completely hands-free, head-mounted tablet for connected industrial workers. The HMT-1 is operated solely through noise-robust voice control and head gestures. RealWear's Pioneer Program customers, which include more than 60 major industrial enterprises, channel partners, integrators, and software solution partners, are the first recipients of the HMT-1 before its general availability in July. "It's time to free your hands and put the HMT-1 to work," said Andy Lowery, CEO of RealWear, in a statement. "We're proud to show what the real in RealWear means by delivering the HMT-1 beta units to our Pioneer Program members, just as we promised." "RealWear's HMT-1 is an ambitious step forward for industrial IoT that has the potential to transform how workers do their jobs," said Andy Timm, chief technology officer at PTC, in a statement. "We now have a truly hands-free wearable with the right features and cost-point that we can deploy at scale, in the enterprise. The HMT-1 running our HPE Visual Remote Guidance (VRG) software provides a premium virtual support, collaboration, and training solution for both our internal use and for our IoT and IIoT customer solutions," said Garry Orsolini, director of technology, Education Services, at Hewlett Packard Enterprise, in a statement. 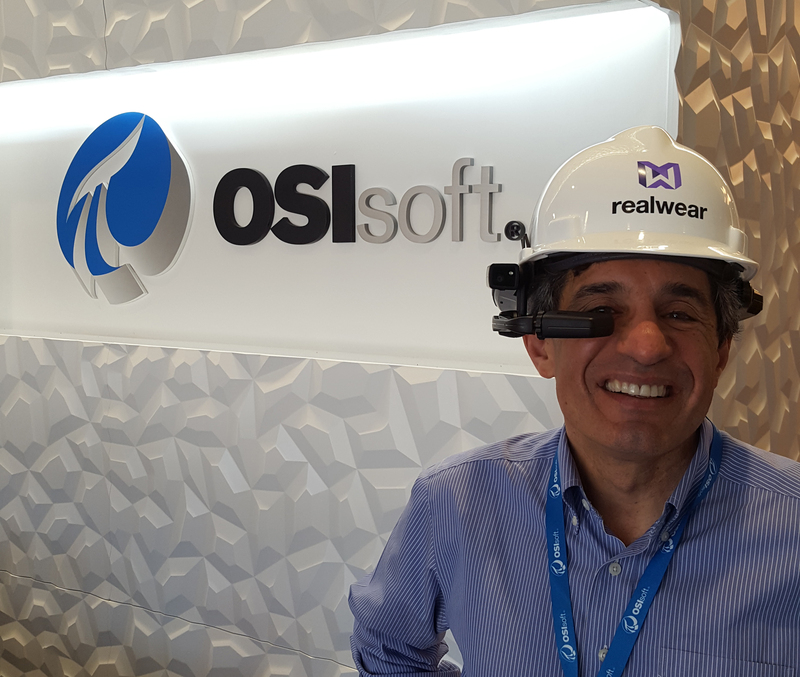 OSIsoft Technology Analyst Michael Kanellos is the first recipient of the HMT-1 voice-driven, hands-free, head-mounted tablet.